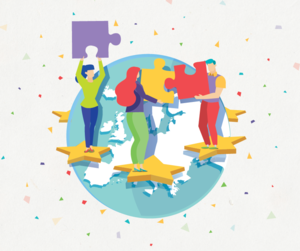 What is European Academy on Youth Work (EAYW)? 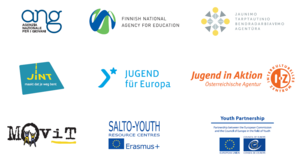 The European Academy on Youth Work is a new initiative of seven National Agencies of the EU Programme Erasmus+: Youth in Action, namely Agenzia Nationale Per I Giovani - Italy, EDUFI - Finland, JTBA - Lithuania, JINT - Belgium-Flanders, JUGEND für Europa - Germany, Jugend in Aktion, Interkulturelles Zentrum - Austria, MOVIT - Slovenia as well as of SALTO-YOUTH Resource Centres and the Partnership between the European Union and the Council of Europe in the field of youth. The EAYW aims to support innovation in youth work and youth work policy and to promote the development of quality youth work. It contributes to creating further a common ground on youth work and youth work policy in Europe. In this respect, it works on the demands of the Second European Youth Work Convention to further develop the concepts and practice of youth work, to find strategies to work on the current and emerging challenges faced by young people and to renew its practice and strategies according to the changes and trends in society and politics. To this end, the EAYW offers a regular platform for reflection on hot European topics with relevance to the youth field, on recent or current developments and future trends. It is a place for exchange and knowledge gathering on creative, transformative and innovative youth work practices, its tools and instruments, and for dissemination and exploitation of results of studies and research as well as youth work policies. Furthermore, it links to political frameworks and developments with an impact on youth work, and it offers space for discussion and exchange on related political strategies, decisions and developments. In this way, the EAYW also encourages cooperation among actors in the youth work field to further support innovation. Its explicit focus on new trends and innovation in youth work, and on their transformation into practice, makes the EAYW different from other initiatives. 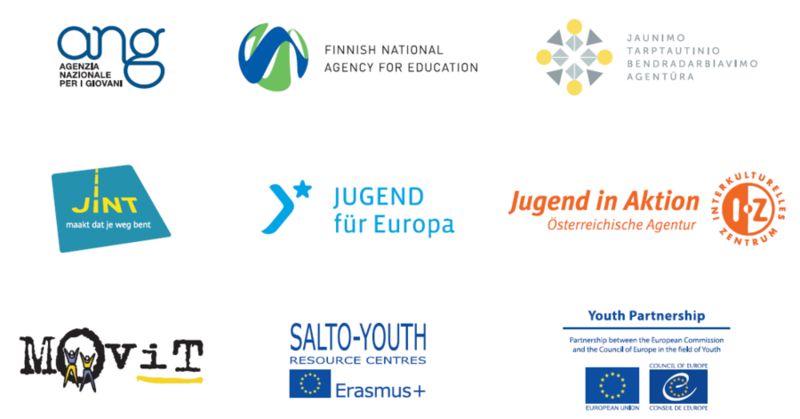 The EAYW seeks synergies and links with other platforms, in particular the European Youth Work Convention. The target group of the EAYW are in particular youth workers, paid and/or volunteers, from all levels (local, regional, national, European), professionals in areas with relevance for the youth sector and representatives of youth work policies and public services, National Agencies and other staff working in youth work structures, from [I]NGOs and from science and research. Participants come from a wider European context, and where relevant and needed from other parts of the world. The EAYW targets in particular those looking for innovation or who have new ideas and initiatives to offer. As a part of the role and activities of the EAYW, a biennial event for 120 – 150 participants and with a four-day duration is planned. In a longer-term perspective, the establishment of a management structure that guarantees the continuity, stability and relevance of the EAYW is foreseen. This is subject of further discussion after the implementation of the first edition of the EAYW. The first edition of the European Academy on Youth Work will be taking place from 21st to 24th May 2019 in Kranjska Gora, Slovenia, hosted by MOVIT Ljubljana. 140 participants will be invited to discuss “Innovation, current Trends and Developments in Youth Work”. The programme of the EAYW is modular with parallel sessions and space for plenary sessions. The methodology of the EAYW will offer different approaches and formats (e.g. lectures, project presentations, panel discussions, workshops, labs, open space sessions, etc.). The contributions to the EAYW should come from youth work practice, youth research and youth policy including other youth-related sectors. Based on a call for contributions interested parties are invited to submit programme proposals. The impact of the EAYW is to empower participants to act as trendsetters in youth work and to develop youth work further. To this end, the EAYW assures the largest possible dissemination and exploitation of results with a strong multiplication effect, focusing on transfer of knowledge into youth work practice and into youth work policy. The most relevant sessions will be streamed and inputs given will be published online as well as in printed form, including an analytical synthesis report of the event.